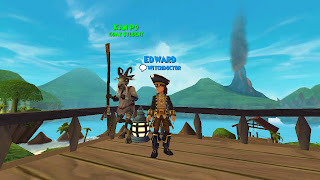 For the next 5 days I'm going to make posts about the schools of Pirate101! The first school I really would like to make a post about is the Witchdoctor School. This school is full of voodoo spells, and this school has its way of defeating an enemy. Here's a few more things you should know about this school if you're planning on creating a Witchdoctor once the game is released! - The Witchdoctor Classroom is located in Avery's Court in Skull Island. 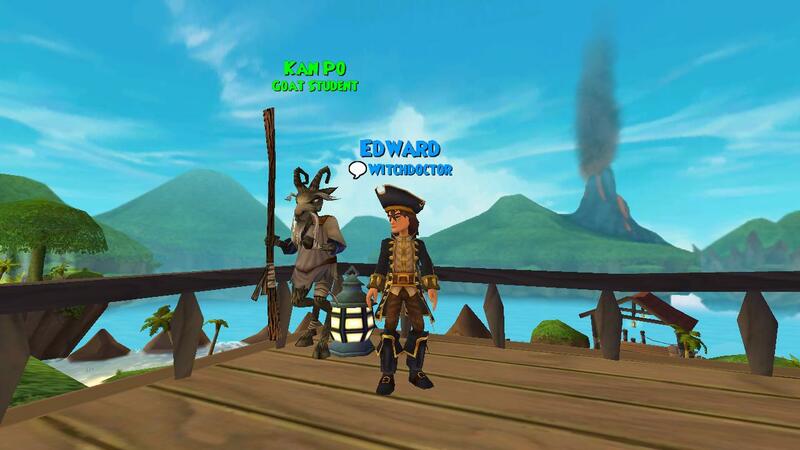 You will notice the witchdoctor school before all schools because you will see a green fog coming from the school! 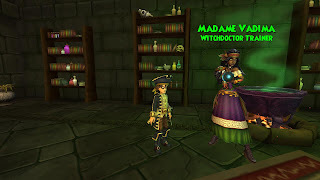 - The trainer of the Witchdoctor School is Madame Vadima. It is told she was a student from Pigswick Academy. No one knows much about her.. She is serious about your studies of the Witchdoctor school, you'll have to prove to her that you're going to be a great Witchdoctor! 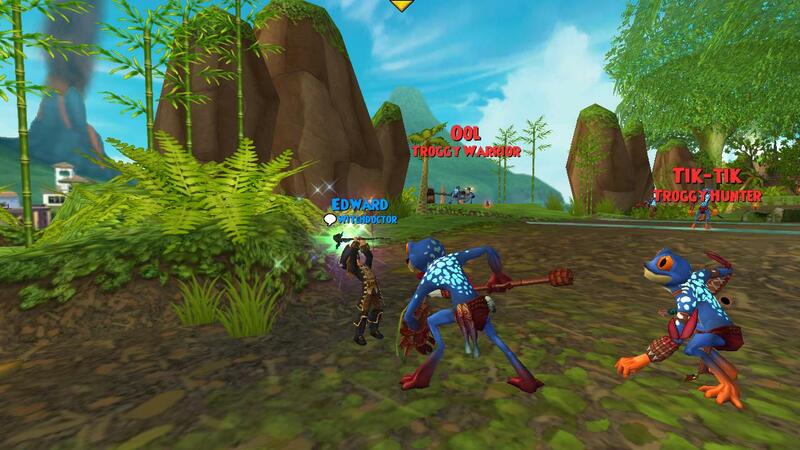 - The Witchdoctors first Companion (Kan Po) is a very helpful companion. He helps you defeat the Armanda troops in the beginning Tutorial and you get to keep him forever, he's your first companion and in my words strongest in the beginning! - The Witchdoctors attacks are very magical (voodoo) They kind of remind me of Death Wizards. They can heal themselves while attacking an enemy. They can also hit more than one enemy like the pictures on the side shows. Witchdoctors are very cool Pirates, if you should call them that. 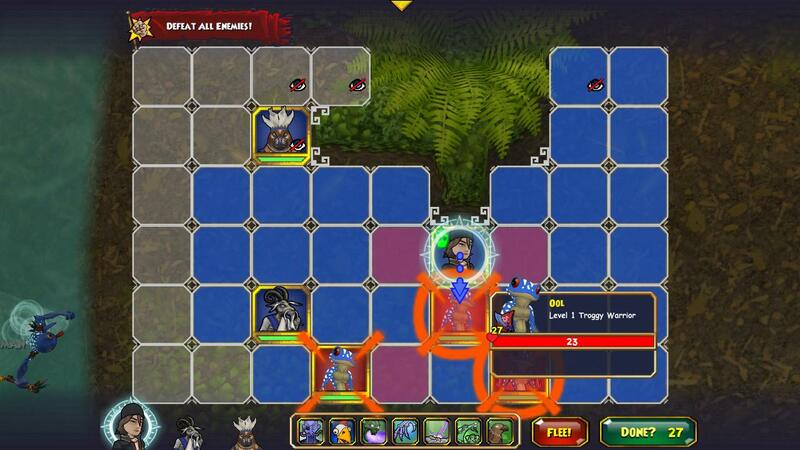 I have a witchdoctor right now and its a very great school, I have no problem with dying. 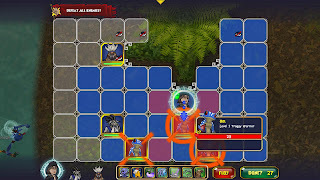 I do die sometimes though, none of the classes are invincible :) This school has to be my favorite class, it brings back Wizard101! 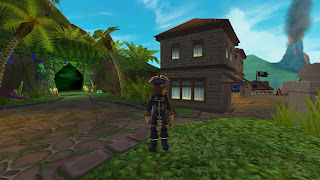 That sums up the main things about the Witchdoctor school, remember this is for fun :) I really want to prepare anyone that hasn't had a chance to play Pirate101 to experience it here and be prepared! I hope you liked it! 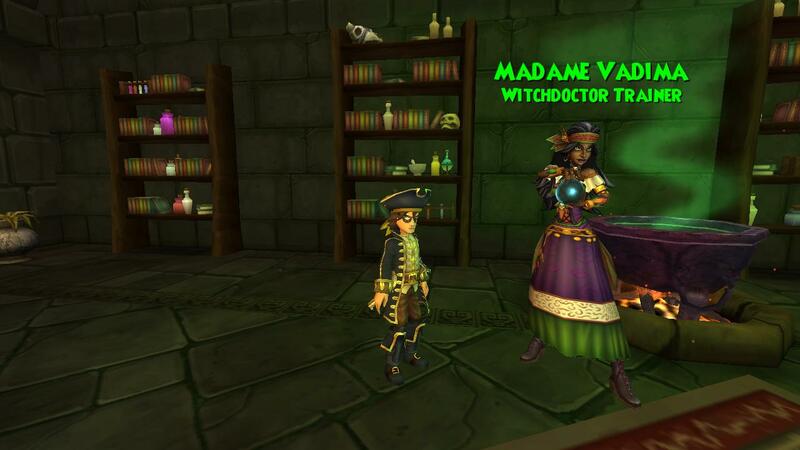 Are you planning on choosing the Witchdoctor School? Comment below and yell Witchdoctor if you are or have!